According to the fourth quarter report by market research firm Canalys, Apple has taken the lead in global client PC shipments. The report took into account desktops, laptops, netbooks, and tablet PCs. Apple shipped more than 15 million iPad tablets and 5 million Mac (laptops and desktops), giving it a 17 percent stake in the global market in Q4 2011, which saw 120 million client PCs shipped worldwide. HP, formerly the biggest PC vendor in the world, shipped 12.7 percent of the PCs in the market in that same period. Apple unveils the Apple iPad - "The best browsing experience you’ve ever had"
"We're going through the biggest shift the PC industry has seen in 20 years. It's very difficult to grow in the classic PC market when all of the growth is coming from iPads. For example, the Netbook category, which was all the rage a few years ago, has been decimated by iPads...And that's a big problem for HP." With Apple riding to the top almost solely on the basis on its iPad tablet sales, other PC makers are also itching to get in on the action of the tablet market. All of the top five PC makers in the world already have tablet offerings in the market, with Dell and HP the only ones currently without a consumer-facing offering. Apart from Apple and Lenovo (which increased its share by 2%), none of the other manufacturers in the top five managed to increase their market share, with HP, Acer and Dell’s shares taking hits since the same quarter last year. While the total PC market grew by 16 percent year-over-year, if one doesn't count tablets, the size of the PC market actually reduced by 0.4 percent. 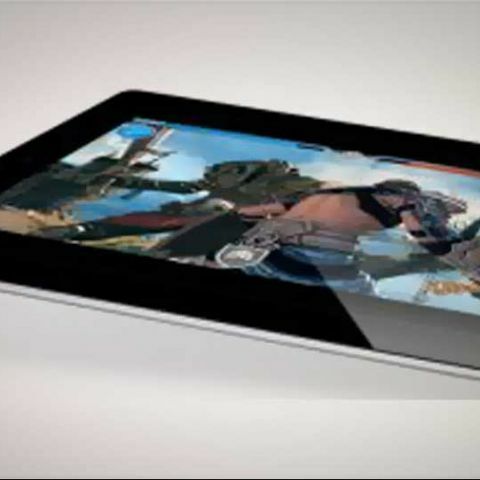 According to Brazier, the vast demand for tablets may just make some non-conventional PC manufacturers like Motorola, HTC, RIM, and Amazon, major competitors in the PC space, with their tablet offerings. Amazon’s already seen rapid sales of its Kindle Fire tablet, with 5 million units shipped in the same period. "In five years, maybe less, a company like Amazon may be a bigger PC company than some of the top fives today. It's a fundamental shift so those who are in denial are in trouble." "We expect ultrabook volumes to see limited adoption through the first half of 2012, before finally gaining momentum later in the year as price points decline and Intel launches a new line of processors and embarks on an aggressive marketing campaign. In the short term though, vendors will experience more pressure in the netbook and notebook segments, especially with Apple’s annual iPad refresh approaching." Why takes very much time for booting in windows7? Is it possible the OS in the ROM? What is the most admirable thing in apple i phone6?